Here’s one problem with Mr. Paredes’ paradigm: Mormons themselves are not immune from misrepresenting Mormonism. A case in point is Mr. Paredes himself. Mr. Paredes noted the date of Lorenzo Snow’s death because he had earlier stated his rules of engagement regarding Mormon doctrine: “If you claim that Mormons believe something outrageous, be prepared to back it up by offering up a quote from an LDS leader or official source from this century (i.e., the last 12 years).” This challenger had broken the rule (although “lcawyer” had not referenced a source). It is the second part of Mr. Paredes’ response that supports my suggestion that sometimes Mormons misrepresent Mormonism. “When Jesus looks at a person’s heart, he doesn’t see ‘official’ and ‘not official’ material. He sees truth and falsehood, belief and unbelief, righteousness or wickedness, light or darkness. Yes, I am afraid for the Mormon people who are turned away from God’s truth by the false doctrines and assertions of Mormonism. I am afraid Jesus will say to them, “I never knew you; depart from me” (Matthew 7:23). 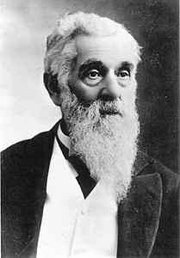 What is the status of the first half of the Lorenzo Snow couplet in Mormonism? This entry was posted in Truth, Honesty, Prayer, and Inquiry and tagged King Follett Discourse, Lorenzo Snow couplet. Bookmark the permalink. I kind of chuckled through this article because the fact of the matter is Mormons go to great length to hide, misdirect and obfuscate what they believe. That’s why, as Sharon says, that individuals and apologetic groups such as MRM, look at original source material. In another thread I talked about how Andy Watson would carry around actual LDS published material to show Mormon missionaries who would doubt what he had told them. The reaction was most often stunned silence because even the obligatory “taken out of context” couldn’t be used. Quite frankly, Christians view Mormonism as a deceitful religion. It’s not just because of the false claims of Joseph Smith but the tradition of hiding and covering up doctrines and practices. During the polygamy stage of Mormonism, Mormon leaders were practicing (polygamy) while denying (its practice). Even after the manifesto ending polygamy they continued to practice (polygamy) while denying it. So the blogger Sharon is writing about here tells us that the first part of Snow’s couplet is not “official”. Then we see it’s all over the place in Mormon publications. There is definitely a spirit of deceit in Mormonism at many different levels. Having a discussion with Mormons is also interesting because it seems they each carry with them there own understanding of what Mormon doctrine is. I keep going back to Bruce McConkie’s “definitive” tome “Mormon Doctrine”. The LDS won’t go near it today and not long ago it was thought to hold the LDS truth. For a religion with a “living” prophet, Mormonism is certainly a ship without a rudder. Despite the fact LDS are always claiming how honest they are, that is simply not true. As I keep saying on this blog, I will give out my home address, the LDS who post here are more than welcome to come to my house, I will have local MM show up, will not tell them them who you are and why you are over, I will do all the talking and ask questions and you can see for yourself the lies, cover up’s and what they dont say. It happens way more than LDS care to admit. I would absolutely love to have a Mormon come to the church I attend and present Mormonism and then have an open forum with questions and answers. I think it would be very instructive. What would that presentation on Mormonism look like? Well first of all we’d have to find someone who could explain (Mormonism). Who would we invite? A representative of the Community of Christ, the Church of Christ (temple lot), the FLDS or the LDS Salt Lake City sect? And within the FLDS which of the groups would we have present? Then I understand that there are all kinds of fundamentalist Mormons who live in and around Salt Lake City who practice polygamy but don’t live communally. It’s really foolish for a Mormon to think that because they are a member of the LDS church that they can explain Mormonism. My guess is that the Christians who blog here know more about Mormonism than 95% of the people who practice the religion. Go and ask a rank and file Lutheran to explain Lutheranism; and they’ve all been through the confirmation process. They couldn’t do it nor could folks who belong to anyone of the different denominations of Christianity. For example what’s the difference in the theological/doctrinal position on communion between Lutherans, Catholics and Baptists? Being a member doesn’t endow a person with any particular insights or knowledge of a religious groups doctrines. It takes concentrated seri0ous study. Knowledge of Mormonism can be obtained through study. A person doesn’t have to believe it to understand it. As far as interpreting Mormonism, Mormons are no better equipped to do that than non-Mormons. Active Mormons really don’t like former Mormons explaining or interpreting Mormonism despite the fact that they were inside the sect(s) and experienced the program first hand. Mormons now don’t want exposed to those who may be thinking about becoming members . looking into the claims of Mormonism so that they can make an informed decision . I agree with Falcon, I bet my church also would be happy to have LDS show up. We could have 2-3 maybe even 4 differnt LDS sect present why they are right, the others are wrong, and then allow us to ask questions. But I am also willing to bet no mormon would ever agree to this. Why? They cannot answer the questions and would come away looking foolish. I’m thinking that perhaps this Mormon woman does an excellent job of explaining Mormonism. She’d be a good one to invite to present at a Christian church. Great article, Sharon. Is Mormonism really so esoteric that you somehow need to become one in order to understand this religion? If so, then how do they really know mine? What right do they have to criticize anyone’s beliefs if they’re not believers of what I see as truth? In addition, the average Latter-day Saint on the street typically acknowledges the couplet when it is quoted, so why do some Mormons have to play the “we don’t know much about this idea” card. After all, if it is true that God has a body of flesh and bones, and we have the ability to progress to Godhood, then it only makes sense that God the Father did too. If this is not true, then the Mormon is obliged to criticize those quotes found in correlated standard works. The woman in the video that I recommended above is sort of a breath of fresh air. Not only is she bright, articulate and deeply steeped in Mormon history and doctrine, but she’s committed to it, un-apologetically. I would guess that people like her are a real thorn in the sides of the establishment LDS church in Salt Lake City. Unlike many modern day Mormons, she doesn’t try to explain away, hide, nuance or obfuscate Mormon doctrine. Of course I don’t agree with what she has to say regarding the truth of Mormonism but I love the way she charges the modern day SLC sect with apostasy; and with good reason. It’s a five part interview and one of the (parts) that blows my hair back is when she starts talking about the Adam-God doctrine. Her views on polygamy are really interesting. What I think also makes her effective is that she’s very polite. She gives the impression of someone who is not looking for a fight but has a firm conviction of what she believes and can draw a sharp contrast between where Mormonism was in the beginning and its drift into modern day apostasy. There is a wide gulf between the doctrines of say the Community of Christ, which is basically Mormonism at it’s birth, and this woman’s view on doctrine which I would call Nauvoo style Mormonism. So can anyone explain Mormon doctrine? Well it’s really not that difficult to trace its inception and the changes over the years. What is “true” Mormon doctrine, it seems, lies in the eyes of the beholder. Does personal conviction make something true? To the individual it does. Oh what Joseph Smith has wrought. All kinds of people receiving the “truth” and firmly convinced of it. I’d suggest trying the Bible to find truth. don’t agree with us should be inline with the counsel of 1 Pt 3:15 . I showed up here at your “church annex blog” and ask you questions about your religion/beliefs and all I get is what you say Mormons do. Only in the minds of some of you. Most of us understood it was one man’s ideas and just a reference to be checked out by greater study. This is a blog about Mormonism. Get it? I think the Christian posters here have been very patient with you and your attempts to disrupt the conversation, take us off task continually and add nothing to the exchange; hence your identification as a troll. If you would like to engage in a conversation regarding Christianity any one of us would be willing to meet with you via e mail correspondence and answer your questions. The fact of the matter is, you’re really not interested in securing information regarding Christianity. I think you need to examine your heart and be honest regarding your motives for posting here. I remind you of things that you say are bad for Mormons to do when you choose to do the very same “bad” actions. Just checking to see if it is proper for you to behave like a Mormon. P.S. Mormonism is NonTrinitarian Christianity. The fact of the matter is, there is no definitive Mormon doctrine. Mormon doctrine is whatever someone (sometimes in authority) says it is. Mormon doctrine, at least as practiced by those of the SLC sect, is ever changing. Among those identified as Mormons, there is doctrine that a particular group claims to be definitive. In Christianity, there are a core set of beliefs, that those who identify themselves as Christians, endorse. That’s not so in Mormonism. Within Mormonism there isn’t even agreement as to who God is. There are those Mormons who hold to a traditional Christian view of the nature of God. The Fundamentalist Mormons believe, as does the Church of Christ-Temple Lot, that the Utah church has gone into apostasy. Interestingly enough these groups practice an entirely different form of Mormonism as does the Community of Christ. So it’s ridiculous for members of the Utah church to show-up here and claim that we Christians don’t know and understand Mormon doctrine. When you have a wide range of groups that fall under the heading of “Mormon” who disagree with one another as to basic doctrine it’s more than a little disingenuous that it should be claimed that Christians don’t understand. Falcon, it is easier for a Mormon to tell us we don’t understand, and know what were talking about, than to try and defend what they believe when so many cannot agree. Mormonism is Non-Trinitarian Christianity? According to who? I think if you read my posts carefully you’ll see where the Community of Christ Mormon sect say that they “affirm” the Trinity. I think if you want to say that according to you Mormonism is non-Trinitarian Christianity you could do that. After all, Mormonism is wide open regarding its various doctrines. You’re as qualified as any Mormon to articulate what Mormon doctrine is. In fact just about anyone is. So, think it, pray about it and if you get an affirming feeling that means that God is telling you that what you believe is true. Curious isn’t it that the CoC would use these verses from the BoM to affirm the doctrine of the Trinity. I don’t affirm the BoM but it seems pretty plain that when it comes to basic doctrines, these Mormons, who reflect early Mormonism, are on a completely different page from you Utah folks. I would say then that anyone can be an expert in Mormon doctrine since all of the various sects of Mormonism are going in different directions. Even the New Order Mormons have their own personal take on the doctrine. That’s true. Can you see then why Mormonism has fallen into great apostasy and is awaiting a time when all things will be restored? No doubt about it. Mormonism is in need of restoration. That’s why just about every other week another Mormon prophet comes along who has received the word of the Lord and now has the official restoration. This is really the history of Mormonism. Jim Spencer, in his book “Beyond Mormonism” writes about his disillusion when he found out about all the different sects of Mormonism. The “one true church” claim of the Utah church was pretty shallow. It was just one more piece of information that led him to eventually leave Mormonism and find salvation through Jesus Christ. Once the Mormon dominoes start falling the whole roll comes tumbling down. It is pretty funny that Mormons think they’re the only ones who can articulate Mormonism. It’s all part of the game they play. position known on this , which is : Mormons are the true christians who teach the true trinity. Therefore based on this it can be said that Mormons claim to be Trinitarian Christians . still remains that IF you accept what your leadership has taught then you are a ” Trinitarian “. God or not . 2 Cor 11:4 ; Gal.1:8 . That would be the answer to my original question many, many years ago when I started questioning what was taught in the many different Churches in what you refer to as The Body of Christ. I COULD NOT FIND THAT ONE SET OF IMPORTANT CORE BELIEFS. Please list what you think they are. The wide range of beliefs/doctrines in groups that you call Christian was the reason I started questioning the teachers I followed before I joined the LDS Church. I find your “one true” understanding of your “body of Christ” to be confusing. There are so many denominations in your “Christian” world because “every other week” a new person follows the example of Luther and is inspired by some difference in doctrine. Many of them form new congregations that follow the new teachings. I understand what you are saying, I just use your definition of Trinity as defined by the men you call true teachers. You accept the teachings of men you call inspired by much education, I follow men who I belief are called of God to speak with His authority and are called Prophets. Doctrine is the most basic way by which a religion expresses its beliefs. The problem with Mormonism, as expressed by the Utah sect, is that they play games with their definitions. Thus Mike in his above post writes that this group considers itself “trinitarian”. Mormons will also talk about “accepting Jesus as their Lord and Savior” because it sounds “evangelical”. It’s the game of using the same language but not revealing the actual meaning. This is basically dishonest. Just for “fun”, I went and read what the Church of Christ-Temple Lot has to say about this most basic of all doctrines, the doctrine of God. Very interesting to say the least. Lastly, it’s not the difficult to learn about and understand the doctrines of various religions. For some reason, the Utah Mormons think that a person has to have revelation knowledge to get it. In-the-end, Mormonism is a maze of confusion that even Mormons get lost in. The best we can do is study the doctrines and comment on the history and development of Mormon belief. What Mormons actually belief at breakfast can change at lunch and then back again by dinner. Joseph Smith and were influenced by him and served as leaders also in Utah after his death. These men claimed to be officers in Jesus’ Church with His supervision to teach people. Mk. 13:22-23 ; Matt 24:11,24. I do not cast the term Trinitarian in a negative light; I just question the authority of the men you follow to have narrowed God’s teachings in the Bible by adding your narrowing definition. I ask why you believe these men had the authority to narrow what God taught. You tell me to search the Bible, then you say I am wrong not to include this added definition the men you follow have added to the words of the Bible. To understand the Bible the same as you do would mean I have to accept your teachers, that have added this narrowing definition to Trinity, as if they had authority from God to speak like a prophet. You may not say the words, but your writings show that you walk their walk. You treat their teachings as if they are part of the Bible. The question again arises, why do you accept the authority of the men who fought over and decided what of all God’s teachings belong in the one bound volume called the Bible? Did thay have prophicy power from God? Were the allways “prophets”, or were they only prophets when they did what you think God wanted to use them and they were just men at othet times? Were they just men who decided that this is what God said and not prophets? Now you need to ask if all these men who acted like prophets when forming the definitions added to the Bible that you accept were truly of God, or were they of the one who will lead you astray. Like Brigham Young proclaiming, to his church members, that Adam was God? with a question(s) type response that did’nt do much good either . I have to laugh a little on this point. First, Rick, if I was in the area I would love to come down and have a nice question and answer session at your church. I have no problems with this. I would just be a little worried that it would quickly turn into a Mormon bashing session, as that seems to be what you are fond of on these blogs. To put it simply, I would answer any question that is stated as a question of curiosity and not a question of challenge or mocking. I am just worried that you can’t ask anything but challenges and mocking. As to Mark Paredes, your complaints with him personally seem honest and accurate enough, though I really do not have enough information to make such a judgment. But either way, who cares. He is a man doing what he likes and thinks is right. From what I can tell he has not been given the authority to disseminate doctrine and declare what is true and what is false. His quality as a source is not the best one to look at. As to his suggestion of inviting LDS over to answer questions, I don’t think people quite understand him. He is talking about those who are the leaders of the church. When we invite one to speak to us on Judaism it is a Rabbi that we invite. If you would be honest about accept this method you would seek out one of the General Authorities to speak to you. Parkman has obsession with the Trinity and brings it into every thread he posts on. While much of what he says is true it can, and does, get tiring at times. However, because of this desire to discuss it he does seem to frequently get a little confusing in what he is saying. He needs to work on this, and be more willing to discuss other topics as well. Of course, there is also the non-LDS version of this in Mike, who seems to want to bring everything back to his opinion on the leaders of the LDS church being false prophets. It’s uncommon for him to post any comment that doesn’t have something said on this point. It also seems that when he gets tired of a topic he simply stops discussing it and brings this point back as strong as he can. Honestly, this gets just as annoying as Parkman’s trinity. Now, Rick seems to be of the style of “If I throw enough stuff something is going to stick.” He posts several quotes at a time, frequently brings three or four points into a single post, and is not shy about throwing in several personal comments while he is at it. After loading everything as high as he can he makes the unfounded claims about why didn’t answer one of the many points he brings up. As for me, I am aggressive in my writing. I do answer most points and topics, but I am certainly not afraid of telling people what I think of their comments when I think such is necessary. I do hold myself as knowledgeable regarding my religion, though maybe not as well read, and I get annoyed at those who think that reading a lot of books means they know more than I do. I do have a habit of sarcasm that I need to work on. I just want to know why these people put so much faith in the people who created the title and definition of the Trinity. If you remove their title and definition of the Trinity from the Bible, God is saying something different from what He is saying with the title and definition of the Trinity added to the Bible. I actually agree with you on this point. They claim the Bible is clear but by using this definition it becomes very confusing. I also agree that, despite protests to the contrary, they are all influenced by these leaders and, at least subconsciously, hold them up as true teachers and being very close to equal with the actual writers of the Bible. Now this idea is repugnant to their conscious mind and so they will always say they are not equal. None of this really matters a whole lot though. They are wrong and they will come to realize it at some point. If not now then maybe when Christ returns and proclaims it from the clouds to all the world. I just think that a few comments on the actual topic of the blog would help things out a bit.